Bed and Breakfasts near Castleford Leeds Xscape for 1 night from Thu Apr 25, 2019 to Fri Apr 26, 2019 within 25 miles, in an Average Nightly price range of £1 to £200. Paul and Donna are committed to giving customers the best customer service available in the local hotel industry we believe this makes us stand out from the large hotel chains and other independent hotels. All customers are greeted and shown to there rooms. br / br / Our outstanding quality and value for money has been rewarded in October 2015 by our booking agents awarding Wheldale Hotel BEST BUDGET HOTEL 2015 from 5000 sites. Plus Top Rated award. br / br / br / br / We offer 2 levels of comfort from loxury twin or double rooms to single rooms offerering everything you would expect from a quality Inn. br / br / br / br / All rooms have FREE WiFi tea and coffee facilities work station with ample power sockets and TVs. br / br / br / br / Double and twin rooms offer full en suite with mains power shower large sink W C and mirror with demist and electric shave socket.. Large screen LED TVs are standard in these rooms. br / br / br / br / We offer free complementary breakfast (Cereal Toast Orange Juice Tea or Coffee or Beans or Scrambled Eggs on Toast). br / br / Upgrade to a Full English Breakfast (2 bacon 2 sausage hash brown tomatoes beans egg and unlimited toast tea or coffee) for �5.95. br / br / Breakfast is served 7.00am untill 8.30am Mon to Fri or from 8.30am untill 10am at weekends. br / br / br / br / The bar / lounge is cosy and friendly through the week Saturday nights are busier until midnight. br / br / Free parking is available on site or opposite the premises. br / br / br / br / Only 5 mins walk to Castleford Town Centre and a �4 taxi ride to XSCAPE / Junction 32 shopping outlet. br / br / br / br / Local attractions are Diggerland nature reserve at Fairburn Ings with visitor centre and nature walks. Castleford has its own museum to showcase its Roman past. br / br / Leeds and Wakefield are only 8 miles away We offer a cheaper accommodation option for people visiting York. br / br / br / br / ROOMS HAVE BEEN REFURBISHED IN LAST 6 MONTHS. All our beds are quality and comfortable. br / br / br / br / We offer courtesy transport from local bus and rail links (subject to availability) br / br / br / br / We look forward to welcoming you soon !! Rolands Croft is just a short drive from Wakefield and Leeds City Centre situated in a rural village called Featherstone! we are Very close to Pontefract Race Course and castleford! convenient and just far enough outside the hustle and bustle of Wakefield city centre to ensure our guests enjoy a good nights rest! Castleford Pontefract Xscape and the Junction 32 shopping outlet ski slopes (M62) are all within a ten minute drive of our guest house so no time to be bored here! We are within 20 mins of Leeds Wakefield and Barnsley. Great for commuting to work or visiting friends and family in the area and returning to relax in a warm comfortable environment. Rolands Croft has a homely atmosphere all the rooms are private and en suite and we make a great alternative to expensive city centre hotels in Wakefield. All rooms are equipped with TV s and Tea and coffee facilities there is also a large car park overlooking farmers fields. We are situated in a semi rural location about a mile from Pontefract Race Course and the new shopping and leisure park Freeport and Xscape. We provide friendly accommodation for families and businessmen alike. With a popular restaurant and cosy bar, Kings Croft Hotel offers free parking and free Wi-Fi. Situated just outside Pontefract, the hotel is a 5-minute drive from Pontefract Racecourse. The individual rooms at Kings Croft each have a work desk and a TV with satellite channels. Rooms have a mix of modern & traditional dÃ©cor with modern facilities. A seating area and tea/coffee facilities are also provided. Set in a historical building, Kings Croft Restaurant serves a modern British menu and world wine list. The bar offers light meals, real ales and traditional carverys, and cooked breakfasts are served daily. Set in 8 acres of grounds, Kings Croft Hotel is surrounded by West Yorkshire countryside. The M62 motorway is a 5-minute drive away, and Wakefield can be reached in 15 minutes' drive. Around 10 minutes' walk from the town centre, Tower House Executive Guest House in Pontefract provides award-winning bed and breakfast in West Yorkshire. There is free on-site parking and free Wi-Fi at Tower House. Rooms are stylishly furnished and have en suite shower facilities, with fluffy bathrobes, hairdryer and luxury toiletries provided. The double room also has a bath. Each room has a flat-screen TV with DVD player, telephone and tea and coffee facilities. An award-winning full English and continental breakfast is served in the elegant dining room. Three minutes' drive from Pontefract's Monkhill and Baghill train stations, this guest house is around 5 miles from both the A1 and M62. Pontefract Castle, Museum and Racecourse are all within a 5-minute drive. Situated in Knottingley, Wentvale provides accommodation with a flat-screen TV. Complimentary WiFi is featured. A Full English/Irish breakfast is served daily at the property. Guests can also relax in the garden. York is 42 km from the bed and breakfast. Doncaster Sheffield Airport is 41 km away. The Grange is one of the oldest properties in Normanton dating back to circa 1700 and exudes a homely warmth and comfort that can only be achieved with time. Owned by husband and wife team Stewart and Sarah Chambers the house has been refurbished to a high standard. Having been in Sarah s family for some 100 years it has an interesting history and includes some unusual features such as the solid oak lintels that can be seen above the entrance doorway and over some of the windows. br / br / br / br / The Grange stands in its own private gardens. The gardens were re-designed in 2002 by Chelsea Flower show winner Peter Garnett-Orme and offer a tranquil setting with private secure parking behind electric gates. br / br / br / br / All bedrooms are En-suite with power shower tea/coffee making facilities iron hair dryer & safe flat screen TV with Freeview free internet access/WIFI private parking. br / br / br / br / Guests have use of The Lounge offering large screen TV with some satellite channels DVD and free film library. Use of dining room and the garden. br / br / br / br / Full English breakfast served in The Dining Room (or on the terrace in summer if desired). A Victorian property that has been lovingly restored by its present owners to include modern facilities whilst still retaining the character and ambiance of times gone by. The two Victorian properties have been tastefully restored by it s present owners to include modern day amenities whilst still retaining Victorian ambiance and a wealth of character - terracotta tiled entrance hall with mahogany panelled walls & hand - painted stained glass and moulded ceilings. Wentvale Court is ideally situated for the access to the A1 / M62 intersection at junction 33 which gets your journey off to a quick start after a hearty breakfast. Wentvale Court has one third of an acre garden to wander around and relax after the trials of the day. Plenty of private off-street parking large garden to relax in & a substantial breakfast to set you on your way. Free Wi-Fi available. We look forward to you staying with us. Whatever your leisure pastime it is readily available in our area from golf to horse racing from shopping to fine dining and we are ideally located. Situated in Normanton, The Grange provides accommodation with free WiFi, seating area and flat-screen TV. The bed and breakfast offers a continental or Full English/Irish breakfast. Guests can relax in the garden at the property. York is 49 km from The Grange, while Leeds is 20 km away. Leeds Bradford International Airport is 39 km from the property. Just off the A1 and 3 miles from Pontefract town centre, in the Yorkshire countryside, Darrington by Good Night Inns features a restaurant and free parking. It is 2 miles from Pontefract Racecourse. All rooms have comfy beds and some rooms can take 2 adults and up to 2 children (under 16 years). Rooms come with an en suite bathroom, free unlimited WiFi, along with a hairdryer and tea and coffee making facilities. Irons and ironing boards are available upon request. The full breakfast has the expected cooked items, including vegetarian sausages, as well as a wide continental selection. Just off Junction 42 the A1 road between Leeds, York and Selby. Guests can enjoy the restaurant, relaxing lounge and bar, free Wi-Fi and free parking. South Milford Hotel is a great base for exploring Yorkshire, close enough to visit Leeds city centre, as well as the historic city of York. Rooms at the South Milford Hotel offer an en suite bathroom, a TV, and tea/coffee-making facilities. The hotel offers a full service restaurant, relaxing lounge and bar area complete with Sky Sports channels, along with benefits from 14 acres of land with outdoor seating. A charming family-run, 18th-century coaching house, Bridge Farm Hotel offers a small bar, a separate TV lounge, free parking and free Wi-Fi in public areas. In the morning, a full English breakfast is served in the dining room. Each bedroom is individually decorated and comes with an en suite bathroom and tea/coffee making facilities. A 15-minute drive from Leeds city centre and Wakefield city centre, Bridge Farm is only 10 minutes away by car from Temple Newsam Golf Club. Oulton Hall is an 18th-century mansion and has an award-winning cuisine, a spa, and a 27-hole championship golf complex in its grounds. There is free WiFi, free parking, and Leeds Train Station is 5 miles away. The hotel offers a warm Yorkshire welcome. Rooms also feature a flat-screen TV with cable and some Sky channels and facilities for making tea and coffee. The Claret Jug restaurant serves wholesome meals, and has stunning views of the golf course. The Calverley Grill offers fine Yorkshire dining. Oulton Hall also boasts a Nike Golf Academy, offering personal tuition and a state-of-the-art driving range. The luxury spa has 10 treatment rooms, a fitness studio and fully equipped gym. Monk Fryston Hall is a grand hotel offering guests tranquility, charm and tradition. Monk Fryston Hall is the perfect choice for conferences, corporate entertaining, wedding parties and leisure breaks. Monk Fryston Hall Hotel is a stately and picturesque mansion situated in the small village of Monk Fryston deep within the Vale of York. Dating back to the 1500s, the Hall and its grounds evoke a colourful history. Monk Fryston Hall has twenty-nine quiet, relaxing en suite bedrooms, individually decorated to the highest standard. Our superior bed rooms are spacious with beautiful garden views, whilst antique furniture adds a touch of luxury to the four poster bedrooms. At Monk Fryston Hall, we pride ourselves on the consistent high quality of our cuisine. We offer an extensive mouth watering menu, which is complimented by a specially selected Wine List. Monk Fryston Hall is a stately and picturesque mansion situated in the small village of Monk Fryston deep within the Vale of York. Dating back to the 1500s the hall and its grounds evoke a colourful history. Today Monk Fryston hall is a grand hotel offering guests tranquillity charm and tradition whilst maintaining high standards of service. The oldest portion of Monk Fryston Hall Hotel dates back over 800 years where the original building contained vaulted ceilings a wealth of stonework and inglenook fireplaces the building was a monastery around the 12th / 13th Century when land was given to Benedictine monks by the Bishop of York. As the centuries passed later additions included stone mullioned windows oak panelling and stone terracing around the main house. Elegant gardens were added to enhance the enjoyment of the residents who were always pillars of the local community. In the 18th Century the owners established a zoo with a collection of animals an aviary and boating on a lake in the grounds. A folly was added in the form of an imitation of a famous bridge The Lucerne Bridge with paintings from The Rime of the Ancient Mariner . In 1954 the manor house was purchased by the Duke of Rutland who ran it as a country hotel it is now owned and managed by a privately owned company Monk Fryston Hall Hotel Limited The current owners are committed to preserving the special nature of the hotel and its environment with attention to the building s fabric and unique gardens. Dating back to 1610, Best Western Rogerthorpe Manor Hotel offers free Wi-Fi, a traditional restaurant and free parking. There is good access to the M62. The 1610 Lounge Bar has a large-screen TV and opens out on to the conservatory. The Jacobean Pub at Rogerthorpe serves traditional food. In picturesque countryside, Best Western Rogerthorpe Manor features rooms with fully interactive 32-inch TV's and memory foam mattresses. 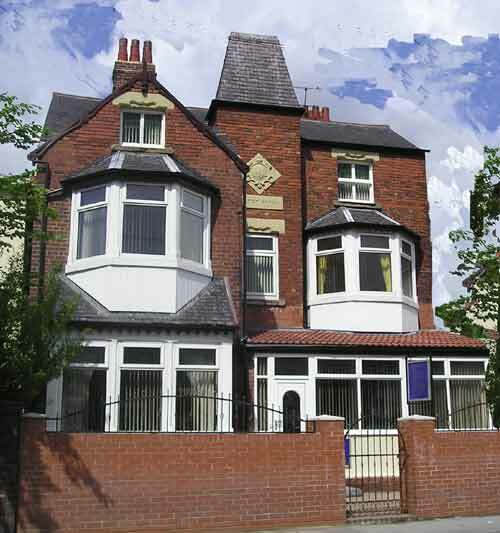 For the past 20 years the Stanley View Guest House & Hotel, close to Wakefield city centre, has been run by the same family. If you are a racing fan, we are handy for access to Pontefract, Wetherby and York. We are also near many golf courses. The Stanley View Guest House & Hotel comprises three 19th century properties which have been modernised to form a 17-room guest house of quality and comfort. On the a642 York road, close to the m62 motorway junction 30 and junction 41 of the m1. Hotel features include: comfortable licenced bar, evening meals, AA*** rating. The hotel is double glazed and centrally heated throughout, has a full fire certificate and is open all year round. Ground floor suites are available. We are near to all local amenities including theatres, cinemas and a variety of restaurants. So whether you are visiting family, going to a wedding or are on a shopping trip to Leeds, sightseeing in York or in the Dales, we are sure your stay will be very pleasant. Wakefield Limes Hotel is 3.5 miles from Wakefield city centre, and offers en-suite rooms and free WiFi. Leeds is 4 miles away. Guests can enjoy free parking at the property. All of the bedrooms at the hotel include TVs and tea/coffee. Free WiFi is available in most rooms and in the lounge. Wakefield Limes is a family-run hotel, which provides a continental breakfast each morning. The hotel is on the main A61 Leeds road. The M1 and M62 are within a 5-minute drive. Located just 0.5 miles from Wakefield Westgate train station and 0.3 miles from the 18th century Town Hall the Citilodge Hotel is an ideal location for business people visiting Wakefield s vibrant commercial centre as well as for tourists seeking accommodation in the metropolitan district with access to a variety of attractions. Visit the beautiful auditorium of the Theatre Royal Opera House located 1 mile away or The Hepworth Wakefield an exciting new art gallery celebrating Barbara Hepworth Wakefield s most famous daughter 0.5 miles away. For a great shopping experience the brand new Trinity Walk Centre with all the main brands represented is only 100 metres from the hotel or for a trip out you can easily enjoy other nearby attractions such as Newmiller Dam and Nostell Priory. Located in Wakefield city centre, Citilodge contemporary hotel features a 24-hour front desk and is a minute's walk from the cathedral. Trinity Walk Shopping Centre is just a 3-minute walk away. The guest rooms come with free WiFi, a 40-inch LCD TV and tea/coffee making facilities. They all have an en suite bathroom with bathtub or shower. The Superior rooms come with a full-size fridge and a microwave. The Theatre Royal Opera House is just 0.4 miles away and Hepworth Wakefield Art Gallery is 0.6 miles away. Sun lane Leisure Centre is located just across the street. Guests can also drive 13 km to Leeds. Stay in the heart of Wakefield br / br / br / br / Luxurious modern apartments situated within steps of the Wakefield Centre. At Lux Aparts each apartment has been spaciously designed with quality fittings. Furnished with modern decor the apartments feature living/dining areas fully equipped kitchens and private bathrooms. br / br / br / br / All apartments offer state if the art Widescreen TVs 24hr concierge and Complimentary Wi-Fi facilities. br / br / br / br / Guest can enjoy the restaurants and night life within steps of the apartments. There is a wide range of restaurants bars and nightclubs in the area. br / br / br / br / The train station and bus station is only a 10 minute walk from the apartments. Only 12 minutes away from Leeds Centre via train. br / br / br / br / Local attractions include Yorkshire Sculpture Park Sandal Castle and Trinity Walk Shopping Centre all within close proximity to the apartments. br / br / br / br / Other popular tourist attractions include the beautiful Yorkshire Dales National Coal Mining Museum Royal Armouries Museum and the Wakefield Museum. br / br / br / br / Note: Please confirm your estimated time of arrival at time of booking to enable property to arrange Meet and Greet service and avoid delays. Located 3.4 km from Belle Vue and 1.1 km from Wakefield Cathedral, Lux Aparts Wakefield Central offers accommodation in Wakefield. Complimentary WiFi is featured. All units come with a living room, a TV, DVD player, a fully equipped kitchen with a dining area and a private bathroom with free toiletries. A dishwasher, an oven and microwave are also available, as well as a kettle. Popular points of interest near the apartment include Wakefield One, Wakefield Register Office and Wakefield Magistrates Court. The nearest airport is Leeds Bradford International Airport, 32 km from the property.